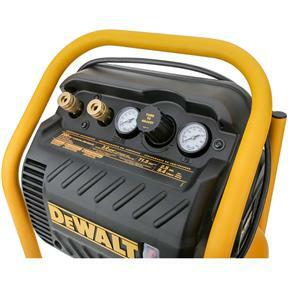 The DeWalt DWFP55130 Heavy Duty 200 PSI Quiet Trim Compressor features 3.0 SCFM delivered at 90 PSI pump, a 2.5 gallon tank and 200 max PSI which enables many of nails to be fired and provides quick recovery. 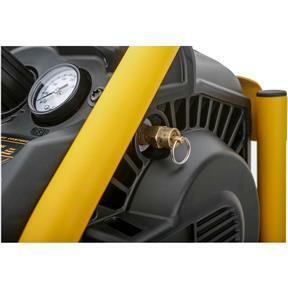 The durable, oil free pump provides extended maintenance free operation and operates at a low 71.5 dB which allows for quieter operation (Tested per ISO3744). 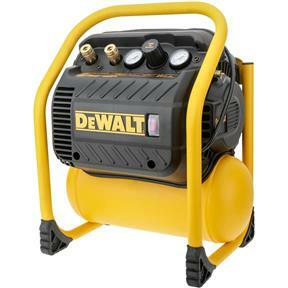 The low 12amp draw motor provides easy start-up and reduces breaker tripping. 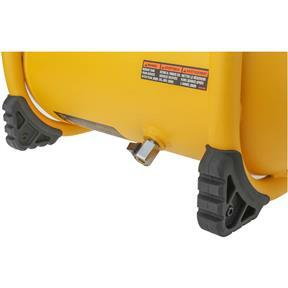 This unit is lightweight (36lb. ), thin (12.5"), and the compact design is easy to carry and store. This compressor can be operated/stored in either the vertical or horizontal position and the roll cage and control panel provide protection to key compressor components. 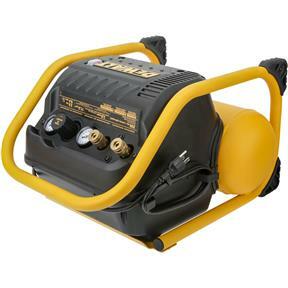 It features dual quick couplers to easily support 2 nailers, a high-flow regulator for increased performance, along with a ball valve drain that allows for quick and thorough tank draining. It also has a convenient cord wrap for easy storage. 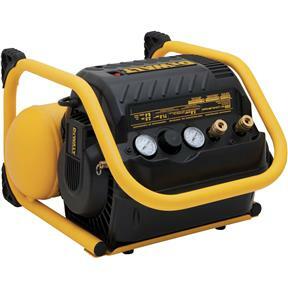 Includes the heavy duty compressor, instruction manual, and two universal air couplers (attached).